More than 50 of the world’s leading grant-making foundations involved in education will meet in Dubai on the eve of the Varkey Foundation’s Global Education & Skills Forum (GESF) this week to discuss some of the most pressing issues in education philanthropy and share their expertise. The participants include Abdulla Al Ghurair Foundation for Education, Art Jameel, Dubai Cares, and NMC Healthcare from the UAE. The GESF will be held on March 22. Sierra Leone President Julius Maada Bio, who campaigned on the development of human capital as his first priority, will join the discussion to give his perspective as a politician who is leading a country where 65 per cent of the population is under 30. 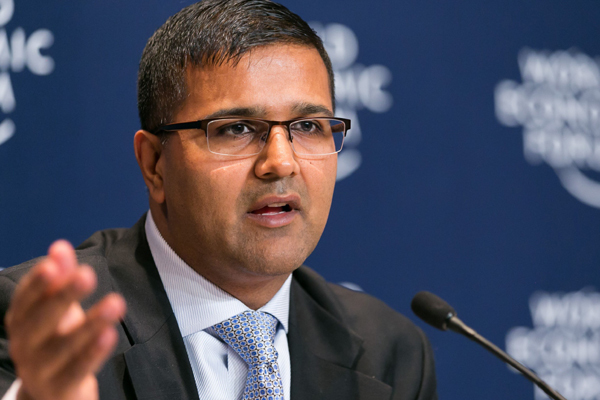 The Philanthropy Summit, in partnership with Co-Impact and Bernard Van Leer Foundation, will be chaired by Vikas Pota, chairman of the Varkey Foundation. It will break new ground by convening a large number of grant making foundations rather than a wider meeting of the third sector. Attendees will share expertise on which of their programmes have had the greatest impact on the lives of young people on the ground. They will also discuss the different pathways they follow to achieve their goals as well as conduct workshops on a range of issues, including early Childhood Development, Education in Emergencies, Funding Research, Innovative School models, Grant-making, Collaboration and Advocacy. The summit recognises that if we are to solve the crisis in global education, government action alone will not be enough. More than 260 million children are out of school globally, and of the 650 million primary school-age children in school, 250 million are not learning the basics. In order to meet the UN’s Sustainable Development Goal of quality education for all, we will need to recruit 69 million teachers by 2030. To meet these serious challenges, the world’s major philanthropic organisations must come together and learn from one another the most effective ways of improving education outcomes and ensuring global access to quality education, it is felt. Pota, Chair of the Philanthropy Summit, said: “We are honoured to have President Bio join us in our discussions and I applaud his spirit of openness and dialogue on this crucial issue of our time. Through exchanging views with the President, whose country was put under such strain by the Ebola crisis, we can understand how grant-making foundations can help support public education systems, often, in extremely testing circumstances. “I would also like to thank the foundations from the UAE, and around the world, that are joining us in Dubai, who will give us a rare opportunity for a focused debate between grant-makers on how we can use our resources to make an outsized impact on global challenges such as those of the SDG’s.